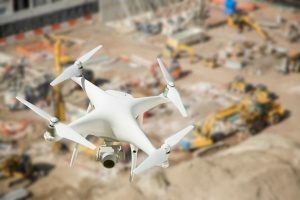 If you are running a business that depends on a drone of any kind, you need to make sure that drone is adequately insured. Much like automobile insurance, drone insurance can cover the value of the drone, and the right insurance coverage can protect your business against bodily injuries and property damage resulting from a drone accident. Drone insurance is not yet legally required to operate a drone in the United States, but it is now required in Canada. Moreover, many companies will not do business with an uninsured drone operation. The potential liability and replacing equipment simply costs too much. Drone insurance is available in a range of coverage types. The type of insurance you need depends on how you use a drone in your business. Each type protects against different risks, as described below. The most basic drone insurance is Liability coverage. Liability coverage does not protect your drone. 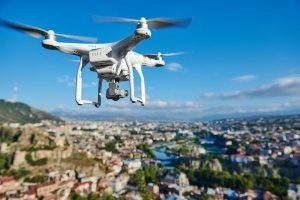 It insures drone owners against bodily injuries and property damage in an accident involving a drone. If you own or operate a drone and have no other insurance yet, liability coverage is the best place to start, especially if you are operating a drone near populated area or indoors. Drone owners and operators need liability insurance. Liability coverage will protect your business from damage claims for property damage and bodily injury resulting from the commercial operation of a drone. The limits for coverage for liability start at $500,000, though some brokers will negotiate it up to $10,000,000 per occurrence, though it depends on the business and the clients’ needs. The coverage limits also depend on the drone insurance broker’s underwriting criteria. A new type of liability insurance policy now on the market for drone owners and operators is personal injury insurance. It protects against claims for invasion of privacy (arising when drone cameras fly over private property and photograph activities occurring there) and similar intangible claims for damage. These insurance policies cover damage to the drone, its cameras, ground control equipment, and mechanical equipment. Hull Insurance. Hull insurance, also called hull and machinery insurance, covers damage to the drone itself, and its machinery and equipment. With hull insurance, you can insure most of the cost to repair or replace your drone. Typically, hull insurance covers damage to the drone itself, salvage and related charges, legal and labor costs, collision defense and attacks, and dry docking expenses. Drone owners can choose to buy hull insurance that covers all risks and total loss, or limited conditions only. Deductibles for hull insurance range from 5 to 10% of the insured value of the drone. Without hull insurance, you or your company will be fully liable for the cost of repair and replacement of your drone. If you are operating an expensive drone, that is, one that cost over $500, consider hull insurance. Payload Coverage. Another type of insurance you may need to consider is payload insurance. It covers anything that is carried on the drone, such as cameras, gimbals, and sensors. Payload insurance protects the business from any physical damage to a scheduled payload. A deductible ranging between 5% and 10% of the insured value of the payload is usually applied to payload items. Ground Equipment. Drone operation requires ground equipment, such as computers, remote controls, and stations. That equipment and machinery is often covered by a separate policy add-on. It usually is priced at similar rates and deductibles to hull and payload insurance. Non-Owned Liability Coverage. Non-Owned insurance coverage protects the operator of a drone when the operator is not the owner. For example, a business may lease and operate one or more drones and related payload and equipment. In such a case, the business needs Non-Owned liability insurance for protection against damage and injuries that occur from operating a drone that is owned by someone else. The limit on Non-Owned liability coverage is usually the same as the owner’s liability limit. Non-Owned Hull and Payload Insurance. Non-Owned hull coverage protects the operator of a drone against damage to the drone itself when the operator does not own the drone. The amount of coverage is established by the drone operator. Likewise, Non-Owned payload insurance protects the non-owner operator of a drone’s scheduled payload. The availability of this insurance and the amount of coverage will be determined on a case-by-case basis. Theft. Check with your insurance broker to make sure theft is covered by any policies you buy. If it is not, consider whether to add it on if your drone and its equipment are especially valuable. How Much Drone Insurance Should You Get? The amount of coverage will depend on a number of factors, such as where you operate the drone, your budget, and the value of the drone and its payload and ground equipment. Factors like depreciation, original cost and inflation are taken into account when determining a drone’s insurable value. In addition, some drones, their payloads and equipment, are very sensitive. Dropping it on the floor or even a hard bump can result in damage and a repair bill. Oftentimes, the payload and equipment cost more than the drone itself. Insurance seems necessary in such cases, and your insurance broker can help you determine the appropriate valuations. To be sure your drone, its equipment and payload, and your business are properly insured against liability for injuries and damage, contact a drone insurance broker. 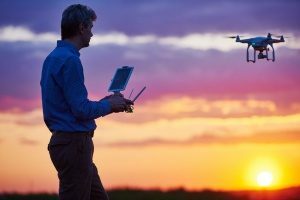 A drone insurance broker has specialized experience insuring commercial drone owners and operators and can help make sure your drone and your business are properly insured. Previous Post: « What Does Hull Coverage Insurance Cover?